On Saturday morning we rode down to a library in South LA to make comments about LADOT's bike plan. Instead of having a podium with a speaker and Q&A, they decided to set up snapshots of the plan on easels around the room. LADOT and Alta Planning staff mingled with the bicyclists and planning students that showed up, their office attire setting them apart from us weekend casual folk. The large maps showed existing and proposed bike infrastructure along city streets. I saw many comments added to the Central LA portion of the map, the area most familiar to me, with less in the Valley, and none in South LA. Many people biked past the windows, oblivious to our shenanigans in their neighborhood. 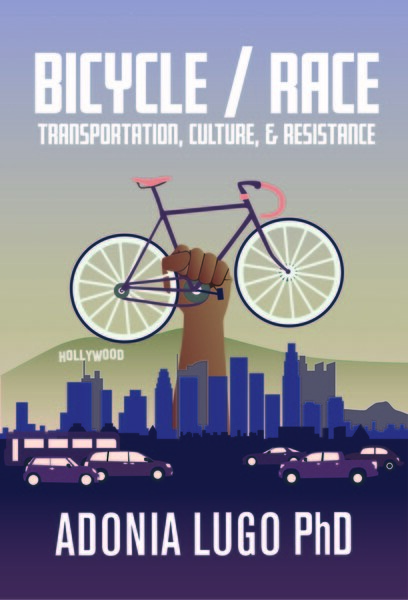 One thing I learned is that Alta Planning has an office in LA, so the planners who worked on this project bike in LA and have done so for years. This means that, contrary to rumors, Alta didn't sweep in from fancy Portland and make a beautiful plan that LADOT then mucked up beyond repair. The setup of this workshop broadcasted that LADOT would like us to think, at least, that Alta is still very much involved in revisions to the plan. After some hours of chatting, we followed someone who knew what he was doing to the Ballona Creek bike trail, passing through charming Leimert Park. As someone who grew up in a 1970s subdivision, I find older little boxes of ticky tacky quite cute; those late 40s and 50s American Dream homes and their lemony yellows, mwah! We rode past Baldwin Hills on MLK, and then spilled onto the trail and made our way to the sea! A fresh breeze pushed against us, but in no time at all we reached the spit of land that the bike trail follows out from the manmade inlet of Marina del Rey. Then after resting on a large bridge where a veritable parade of cyclists trained and some fishermen cast lines, we met up with the beach path that runs from Malibu to Palos Verdes. On the beach, a yacht had somehow appeared. Vladimir Glytenko had left it there? of the sea to save money they no longer have. Their yachts go unmoored and sometimes reach land. How strange it looked! Alone on the shore. But LA is surreal, and rarely a bore.